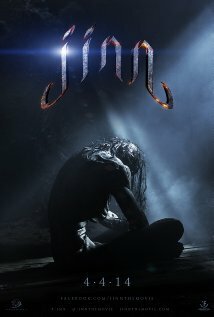 Jinn is a supernatural thriller based on stories from Islam about demonic creatures. The plot is adequate, the acting limited but adequate, with good performances from supporting players Ray “Toad” Park, who probably could have carried the lead role better than newcomer Dominic Rains, and William Atherton, who played “Peck” in the Ghostbusters. The special effects are decent, both the CGI and prosthetic makeup. Unfortunately, what could have been a decent thriller is crippled by a low budget. Footage is reused, as are sets, there are only eight characters in total, and the Jinn are described as powerful, intelligent beings, but with one exception, they are mindless monsters. This entry was posted in movies and tagged dominic rains, jinn, movie, ray park, review, william atherton. Bookmark the permalink.